Let these Complain quotes help you to have a positive attitude toward life, and to think positively. not complain when things don't go well. No one's ever happy with their position in Hollywood. You hear that from people you'd never dream would complain. then you have the time to do something about it. I wouldn't trade my life for anything. you have waked me too soon, I must slumber again. I can't wait to go home to LA. they have asked impossible things of it. who can sometimes be impatient, or even intolerant. Don't complain because you don't have. others have gathered the fruits. and don't complain about the heat. cannot complain that he smarts from it. In my mind and in my heart, I feel okay. but I'd like to live longer. and then we complain that we can no longer control our mobs. My mother told me never explain, never complain. since they made me so uncomfortable. it would not have taken long to tell them. Maybe I was just easily pleased. only time of the month when I can be myself. I look upon life as a gift from God. I did nothing to earn it. 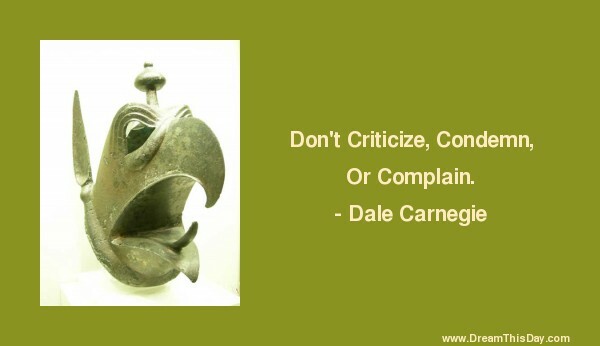 Thank you for visiting: Complain Quotes - Positive Quotes about Complain.